Milla Jovovich Archives - Horror News Network - The Horror News You Need! 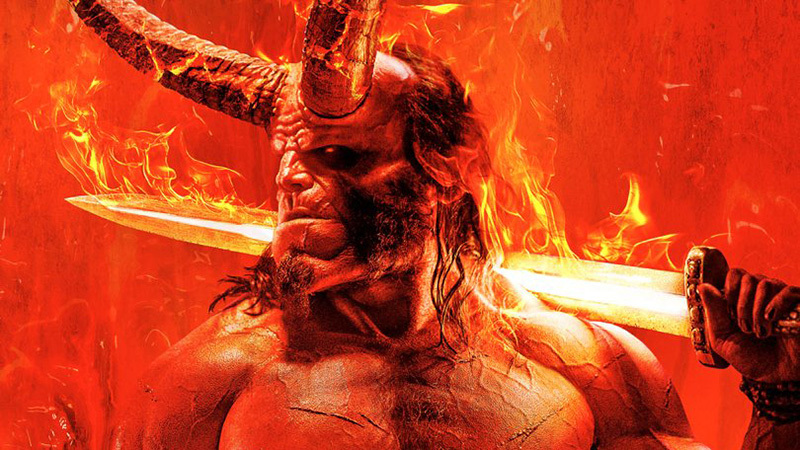 Last night at the stroke of midnight, the red band trailer for the highly-anticipated Hellboy reboot was dropped. The film is, of course, based on the iconic Dark Horse comic series from Horror Comic Award winner Mike Mignola. This time around Neil Marshall is at the helm, while David Harbour (Stranger Things) steps in as the anti-hero from the abyss, a role made famous by Ron Perlman back in the 2004 original. While the much-anticipated film adaptation of the video game Monster Hunter is continuing principal photography in both South Africa and Namibia, one of its stars is using social media to get us all hyped up. Tony Jaa, who portrays “The Hunter”, today released the first look at the both he and co-star Milla Jovovich in action via his official Twitter account. The tweet and picture from the set can be seen below. The folks responsible for the Resident Evil film franchise are bringing a brand new video game to the big screen. According to Deadline, principal photography has begun in both South Africa and Namibia on Monster Hunter, based on the wildly popular Capcom video game of the same name. Sony arm Screen Gems will release the film nationally, with other companies handling the international distribution. Just a few days ago we announced that the Hellboy movie has been pushed back to Spring of 2019. 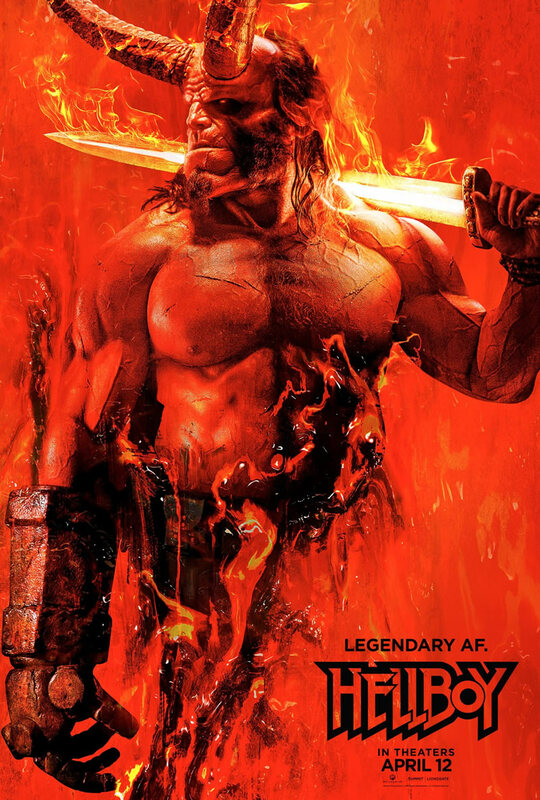 While it was disappointing that fans of Big Red would have to wait a while longer to see their favorite demon on the big screen, they got a treat yesterday as Entertainment Weekly shared the official poster for the film. Hellboy is seen in all his glory, complete with full horns and sword. Fans have been excited about the upcoming Hellboy reboot, starring David Harbour of Stranger Things, since franchise creator Mike Mignola first teased an image of Harbour in full makeup back in early September. Today, we’re one step closer to the film being a reality! Lionsgate and Millennium have set the film’s theatrical release for January 11, 2019. According to Deadline, Milla Jovovich will appear as the title villain in Neil Marshall’s Hellboy: Rise of the Blood Queen. Jovovich is no stranger to horror (or action films for that matter), recently ending her popular Resident Evil series. Jovovich will join Stranger Things‘ David Harbour as Hellboy, and Ian McShane, who was just cast as “Big Red’s” mentor Professor Trevor Bruttenholm, in the upcoming film. Just four days after Resident Evil: The Final Chapter hit retail shelves on home video formats, Constantin Film has announced that they will be continuing the franchise in the form of an upcoming reboot movie. Constantin’s board chairman, Martin Moszkowicz, confirmed to Variety at Cannes Film Festival that the project (based loosely on the popular Capcom video game series) is currently in development. Sony has released the official trailer for Resident Evil: The Final Chapter, which is set to debut in theaters on January 27, 2017. Milla Jovovich once again reprises her role as Alice, the zombie-slaughtering protagonist of the Resident Evil film franchise. The latest installment, which is said to pick up immediately after the end of Resident Evil: Retribution, finds Alice heading back to Raccoon City to end the zombie plague once and for all.